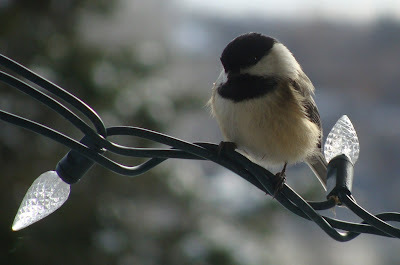 A chickadee inspecting the Christmas lights. He tones in well with the lights. I must get mine out if only to brighten up the grey days we are having. That's an awesome photo! I took a close up of snow on my lights, but they didn't turn out so great.